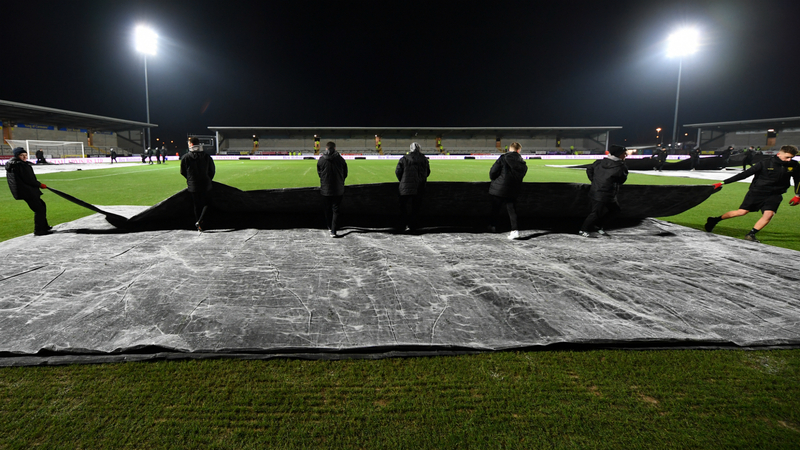 Pep Guardiola praised Manchester City for seeing out their EFL Cup semi-final against Burton Albion in a professional manner on what he described as a "dangerous" pitch. Leading 9-0 from the first leg, Sergio Aguero's goal was all that was needed at a brisk Pirelli Stadium to seal a 10-0 aggregate win and a Wembley return for the reigning champions. Speaking to Sky Sports, he said: "It was quite good, the pitch was so dangerous, so slippery. "We made a good game, we missed a little the last pass and the finishing, but Burton had two or three clear chances. [Goalkeeper Aro] Muric was outstanding. We are in the final. "Every game is completely different, we started at 9-0 up but I didn't see a lack of desire. We played seriously and had no injuries. "The youngsters did well, they had good performances. It's important to be in the final, it's not easy to get to back-to-back finals, it doesn't matter which competition. Now we will prepare well and try to win." "I don't think about that," he added. "We are going to the final, now I'm not thinking about Chelsea or Tottenham. "Both tough teams, incredible teams - one more year we are there." "The conditions were not great, but we prepared for this," Mendy said. "The players helped me ... I feel good, my body feels good, my legs, I'm happy."